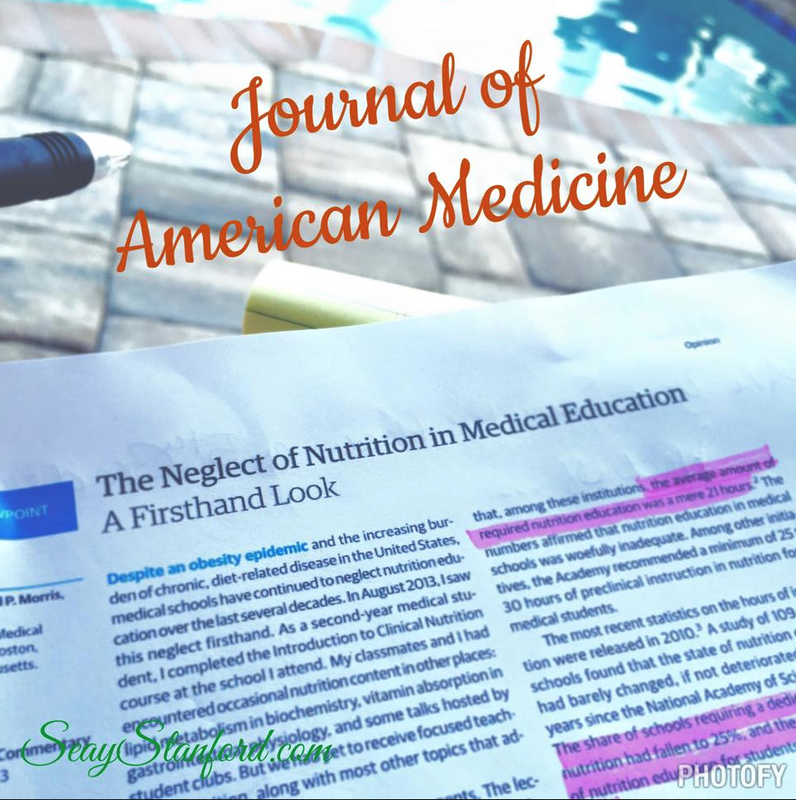 - Of ALL the medical schools in America, less than 25% have ANY nutrition class requirements for their medical students. - Of the 25% of schools that DO offer nutrition education, it totals less than 19 hours over 10 years of medical school, if you are a family doctor. Even LESS if you are a specialist, as in a cardiologist, endocrinologist or ob/gyn. - Poor nutrition is the LEADING cause of morbidity in the United States. - Over 70% of adults are now obese or overweight. - Yet the PUBLIC considers physicians to be among the MOST TRUSTED source for nutrition- related information! - Being certified in a year long dedicated course in holistic nutrition, I do know that many health issues can be reduced, if not resolved, with the right nutrition. - Have faith in your physician for your treatment. But realize they are limited in knowledge when it comes to Ingredients, Food Chemicals, Nutrition and treatments protocols involving specific diets. Their opinion should not be the end of the road for you. It's up to YOU, to do your diligence. - Avoid all unnatural chemicals, eat whole foods, buy local, and buy organic when possible or affordable. Understand by googling the power of adaptogens, Phytonutrients, probiotics, digestive enzymes and certain superfoods and how by eating more of them, you can improve your health, energy, sleep, focus, regularity and weight. Click on the link to get the approved Dear Doctor Letter PDF to take to your healthcare provider on Shakeology.